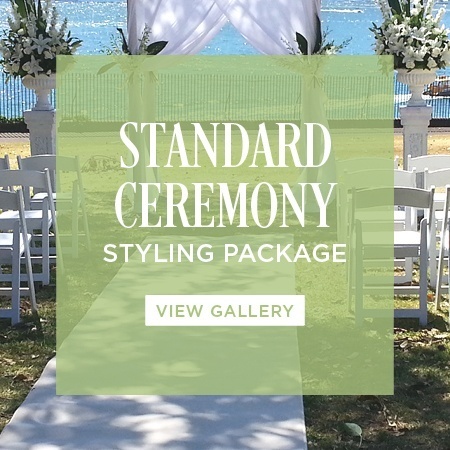 Style your ceremony with our standard entry package that includes all the basics for a beautiful, stylish wedding. 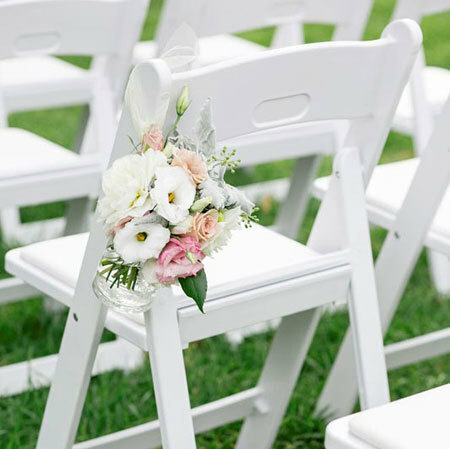 Once you have purchased your wedding ceremony package a florist will get in touch to confirm colour preferences for your floral pew ends, ideal delivery time, and to answer any other questions you may have. 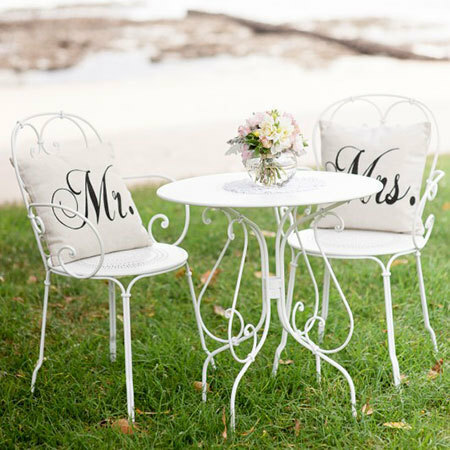 Need extra chairs or floral pew ends? No problem. Simply note this in the Additional Comments/Delivery Instructions box when ordering and our florists will let you know the cost for add-ons. 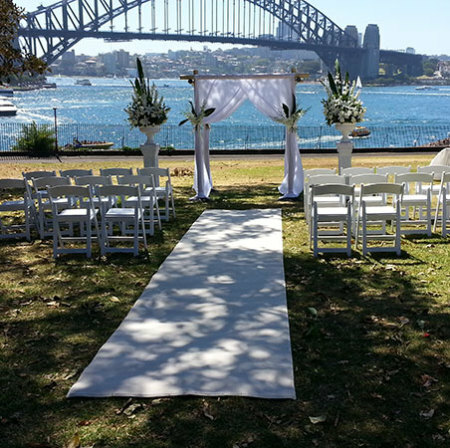 Alternatively send us an email to enquiries@bridesinbloom.com.au or phone 02 8746 0800. PREFER TO CUSTOMISE YOUR LOOK? 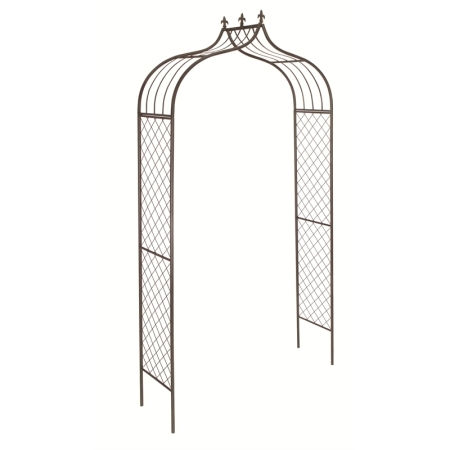 View our style gallery for ideas and inspiration from past weddings and contact us for an itemised quote to hire or buy wedding accessories, furniture and props for your big day.